Here at Lance Industries, we have come up with a simple solution to help eiliminate one of the major pinch points that operator's face on the assembly line. 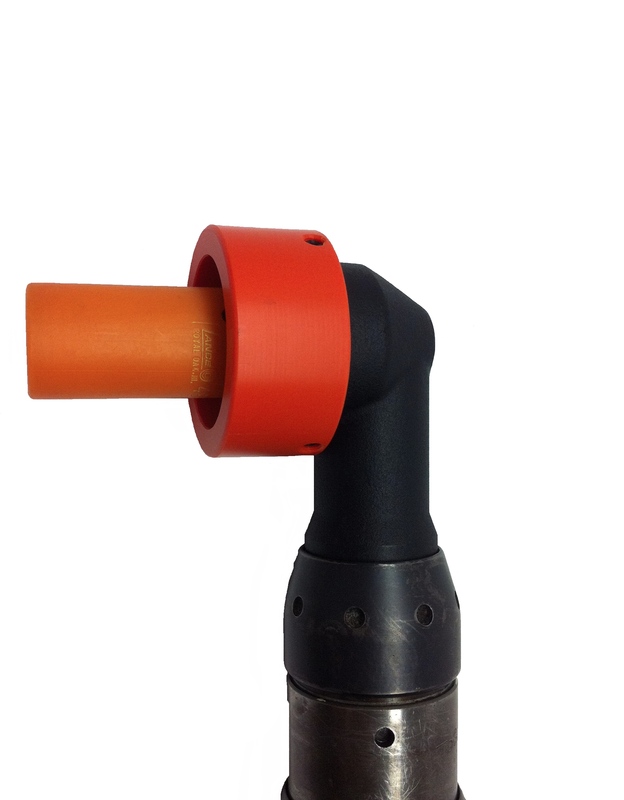 Our angle head protectors are manufactured to fit on any gun that you currently use. With the right dimensions, we can come up with a safe and easy to use solution. Below are a few examples of what our angle head protectors look like. 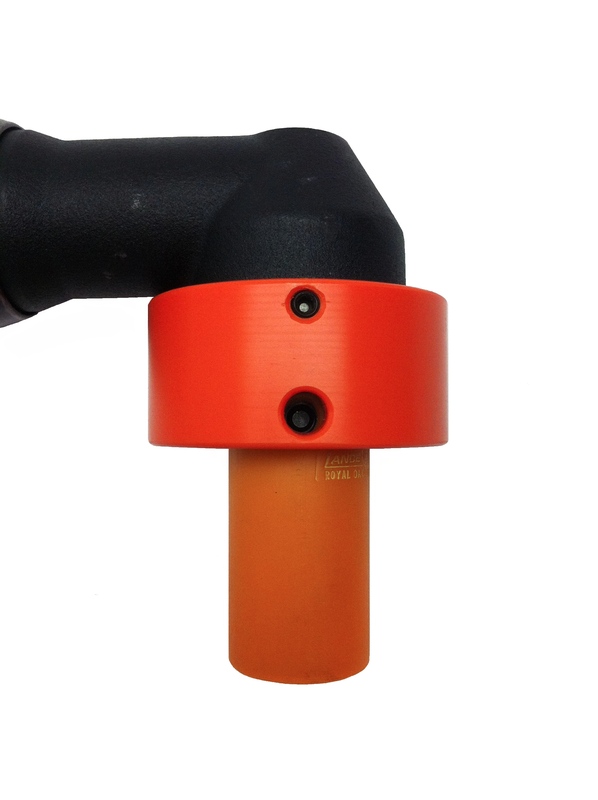 The first hole you see is where we put set screws in for you to easily tighten your angle head protector to your gun. The second hole below, is for you to easily replace the protective sleeve over your socket or to replace the socket. Another example is below that is broken down where the whole socket and pinch point is completely enclosed.